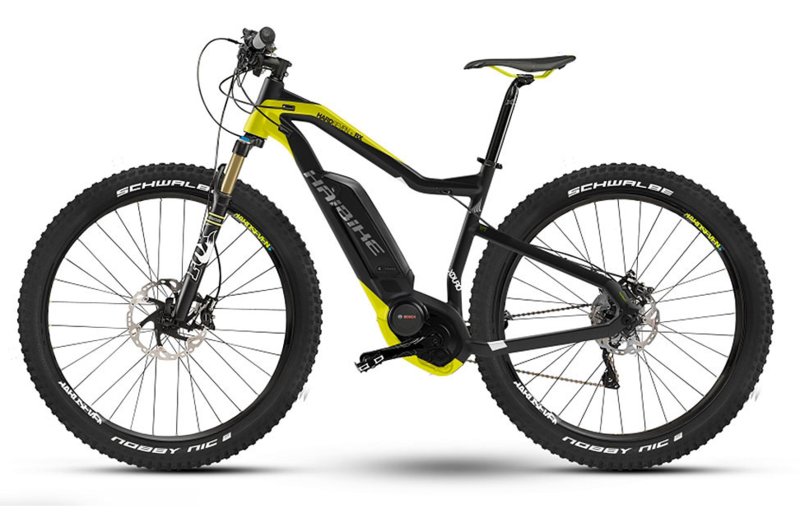 Lately many producers have presented new models of electric mountain bikes with 27,5 Plus tyres. 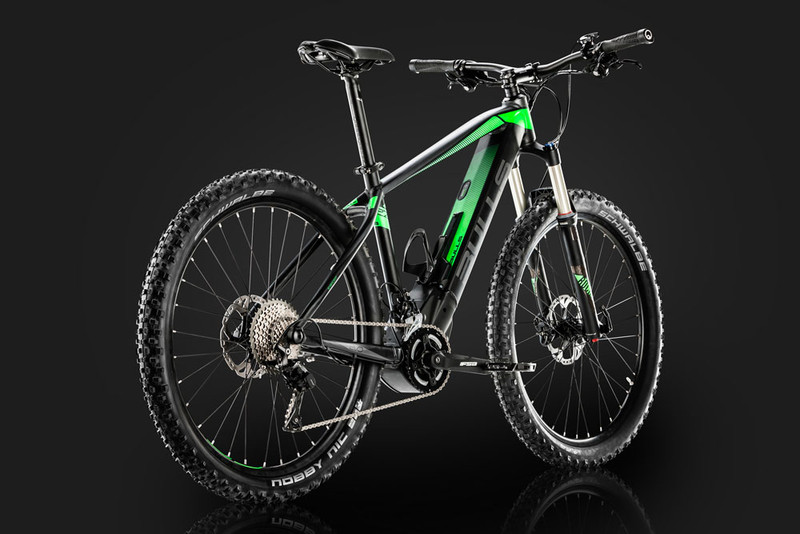 This is a new format which is gaining more and more success in the world of (electric and non-electric) mountain bikes. 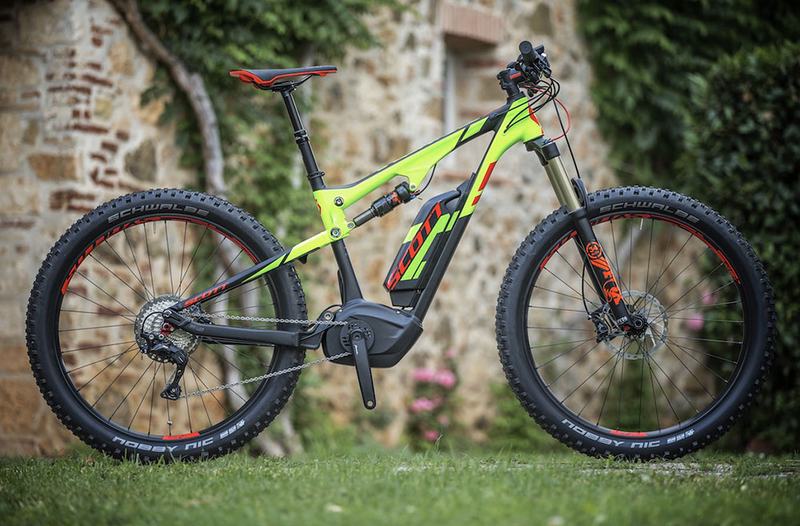 We think that 27,5 tyres make more sense on an electric mtb than on a standard one. Read this article to find out why. 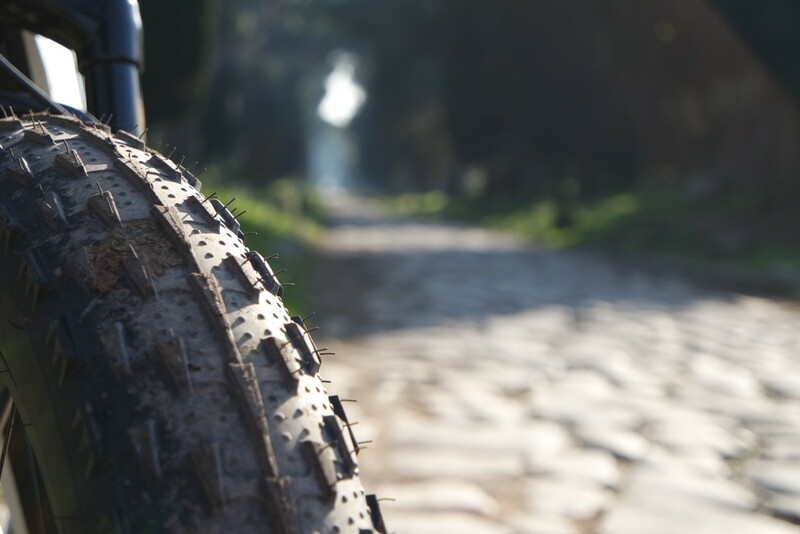 In order to really understand what a 27,5 + tyre is, it is necessary to delve a bit into the history of mtb tyre sizes. The market then came back on its steps, and has (had?) more or less stabilized on the 27,5″ format, a good compromise between the two extremes. 26″ and 29″ tyres are still very widespread, and find their (wide) niche. In the last couple of years another fad exploded: that of fat bikes. These have a nominally 26″ tyre, but the tyre is so wide and fat (between 3,7″ and 5″) that the diameter is practically that of a 29″ tyre. Many bikers have tried this bikes and could note the advantages of such large tyres… noting their defects as well. That’s how we finally arrived to the 27,5″ Plus format. 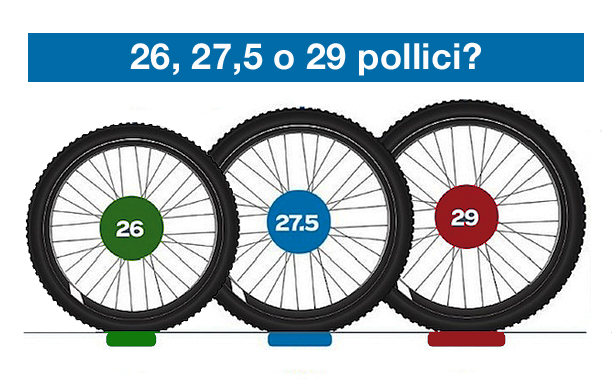 27,5 Plus tyre size: what does it mean? 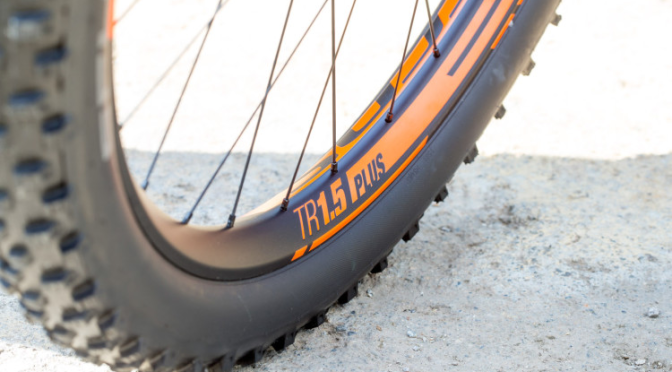 These are basically tyres with a 27,5″ diameter; they are wider than normal, but not as much as happens on a fat bike: once again, a compromise between two extremes. The tyres are usually between 2,8″ and 3″ large. The real diameter is closer to that of a 29″ tyre, with a bigger air volume inside though. the tyres weigh more. Remember that adding weight to the tyres is particularly bad for performance, much more than adding weight to the fixed parts of the bike such as the frame. Because on an e-mtb you make the most of the advantages and you are not so bothered by the disadvantages of 27,5 Plus tyres. With the new Bosch Performance CX motor. Tyres 3″ wide. 130mm travel. 4299€ for the Shimano version, 4899 for the Sram version. This is also available with 27,5 + tyres. Notice the high-capacity (650Wh) battery. Brose motor. 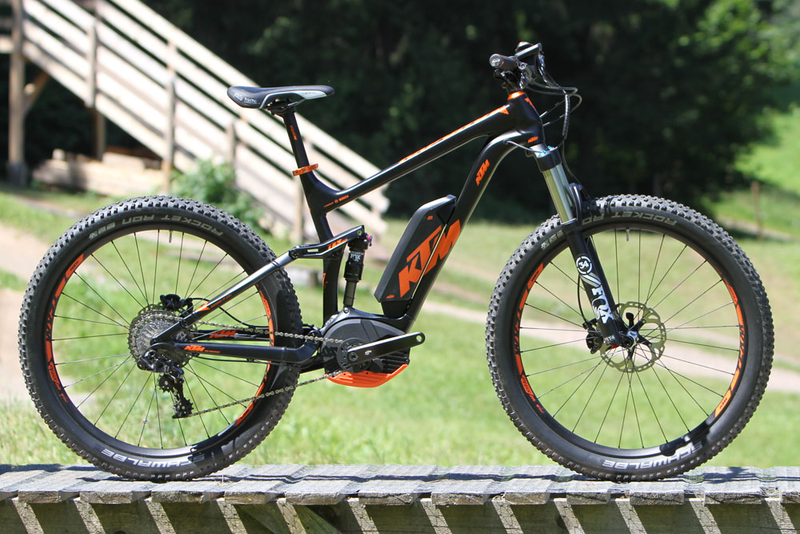 Haibike has inundated the market for 2016. Some sport 27,5 + tyres, like the XDURO HardSeven RX which you see here. Consult our special on the Haibike Xduro3 series for more details. With a Bosch Performance CX motor. 140mm travel. 3″ tyres. Available in two versions for hom (e-Genius 710 Plus and 720 Plus, with different components) and one for her (e-Contessa Genius 720 Plus). Don’t forget to have a look at the Specialized and Rose models as well. We don’t know yet whether the 27,5″ Plus tyre standard will be successful, or whether it will turn out to be just a fad. 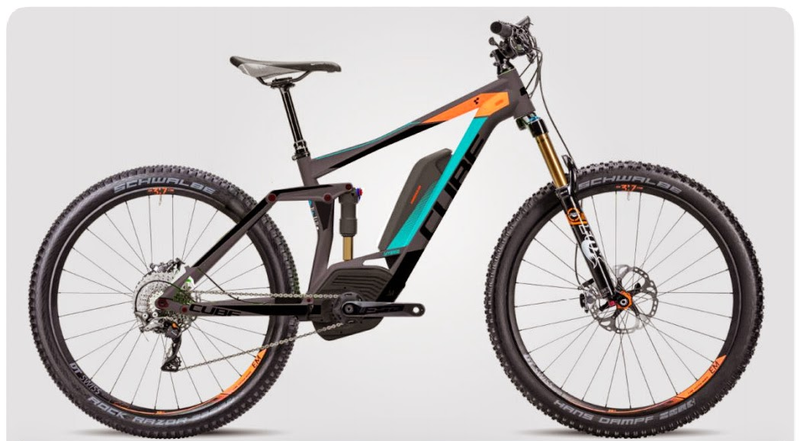 Its success will definitely be more likely on electric mountain bikes, where its advantages are highlighted and its downsided have a diminished importance. Do you agree with our analysis? What do you think about this new format?